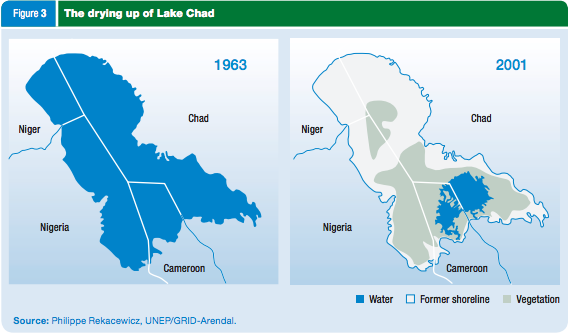 I have been looking at the African Development Bank’s long term strategy (available here) and one of the figures that caught my eye was the extent to which Lake Chad has shrunk over the last 50 years. Wow. Look at some of the other pictures of this lake’s shrinkage. The dried out part is overgrown with vegetation: predominately Typha Australis. This weed will kill a lake or river. It will coat its bed with silt, raising it above viability. This weed is all biomass, ready to be biofuel. It is feloniously renewable. I defy you, plead with you, to deplete it. The silt is soil, ready for rehabilitating desertified soil or replacing eroded soil. Wow.. is anybody doing anything about it?